Volvo TAMD30A turbo 110hp driving 3 blade prop. through stern derive. 6 service batteries 200A/h gel (24v) for services & bow thruster, 2 X 12v for engine start. Register with Boatshed to see 111 extra photos of this Trip Boat Passenger-restaurant Boat 72 Passagers Max. 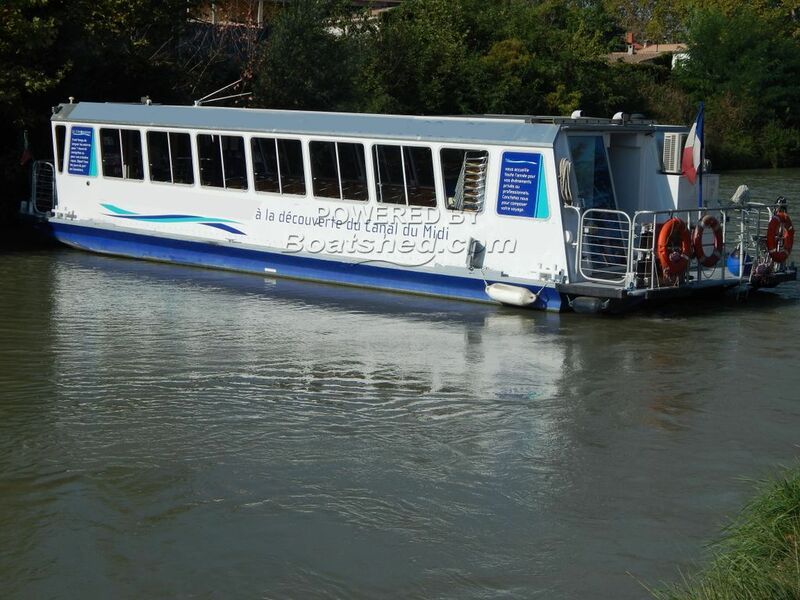 This Trip Boat Passenger-restaurant Boat 72 Passagers Max. has been personally photographed and viewed by Graham WHARMBY of Boatshed Midi Canals. Click here for contact details.